Barkley said a lot of Alabamians have been "brainwashed" to support Moore. "All you have to do is talk about God and say you don't like homosexuals ... and abortion." …Because he believes Moore’s history – before or after the allegations from women who say he approached them as teens – is too outlandish to comprehend. Barkley said a lot of Alabamians have been “brainwashed” to support Moore. “All you have to do is talk about God and say you don’t like homosexuals … and abortion,” he said. Those are quite the comments from Barkley, who also said “I don’t want this guy representing my state” and said he’ll appear on national television to discuss his support for Jones. And it’s also interesting that he now describes himself as neither Democrat nor Republican, but with support for both depending on the issue. Barkley spoke of his Republican ties through the 1990s and early 2000s, but made a video endorsing Democrat Barack Obama for president in 2008 and declared himself an independent in 2007. He briefly announced that he would run for governor of Alabama in 2014 as an independent, but later backed down. He also endorsed Republican presidential candidate John Kasich in the primaries in the lead-up to the 2016 election. So he hasn’t always been aligned with one party or the other, but he’s making it quite clear where he stands on Moore. This does also perhaps show that Barkley has a little more freedom to express his political thoughts than many sports commentators. 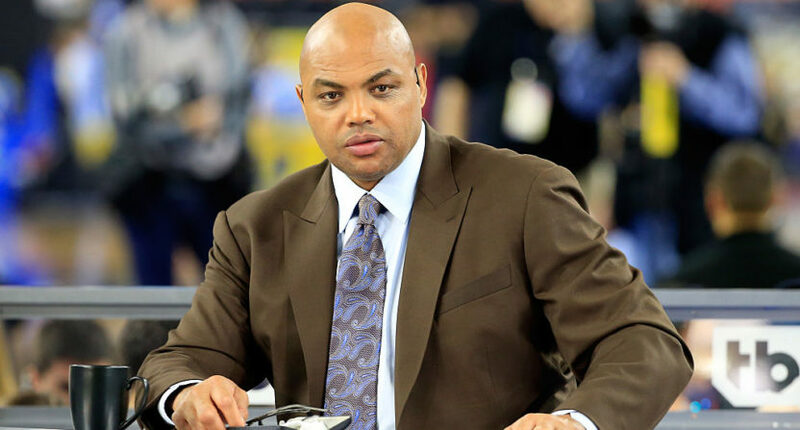 Barkley hosted a four-part American Race talk show on race and politics on TNT this spring, interviewing such controversial figures as white supremacist Richard Spencer, and he’s also used his Inside The NBA platform to touch on social and political issues, (in particular, he spoke about support for the LGBT community on air in 2011). Barkley’s known for saying what he thinks on a wide range of topics, from the NHL to immigration and President Trump’s travel ban, so it’s not particularly surprising that he’s making political comments again, but it’s notable that he’s actually endorsing a candidate at a campaign rally. That’s something that wouldn’t fly at all at, say, ESPN, where the new social media policy bans those involved in hard news from taking political positions at all. It also says that analysts should “refrain from overt partisanship or endorsement of particular candidates, politicians or political parties.” It looks like Turner is a little looser on that front, at least when it comes to Barkley. It will be interesting to keep an eye on what he says at Jones’ rally Monday night, and in his TV appearances afterwards.